Neonicotinoids, a group of chemicals used to protect crops against a variety of pests, have been controversial for some time. But it was the recent release of a European Food Safety Authority study which concluded that the pesticides negatively impacted the ability of bees to forage and form colonies that finally caused the EU to act. With more than three quarters of the leading types of global food crops relying to some extent on animal pollination, the stakes are high. 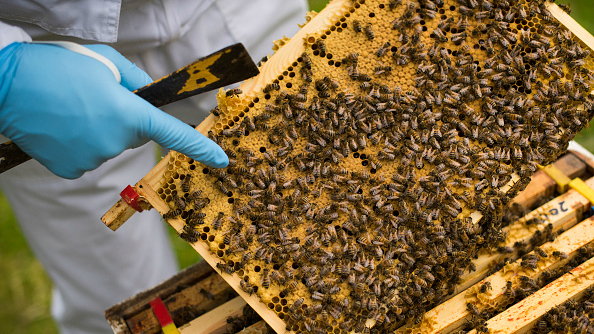 Following Friday’s victory, environmental charities around the UK have been celebrating the government’s decision to back the EU’s neonicotinoid ban. However, with the British vote soon to disappear from the EU’s ballot box, political analysts and environmentalists have been left wondering what state the UK’s environmental legislation will be left in after Brexit takes effect. Critics remain divided over whether Brexit will enable the UK to become a greener country. Many have argued that leaving the EU presents a unique opportunity to upgrade the UK’s environmental policy, and many NGOs see an opening for the government to remodel the agricultural industry around environmental preservation rather than productivity. British Environment Secretary Michael Gove has proposed plans for a ‘Green Brexit’, and UK charity Friends of the Earth has begun campaigning for the UK’s post-Brexit agriculture policy to reduce the sector’s reliance on pesticides. However, analysts worry about the potential for gaps to be left in environmental legislation, particularly if Britain leaves the EU without new treaties with Brussels in place. This ‘no deal’ scenario would leave the UK accountable only to international environmental treaties, which are typically less stringent than EU regulations. Furthermore, “zombie legislation” is a risk under any scenario, Will Nichols, senior environmental analyst from global risk consultancy Verisk Maplecroft, told The World Weekly. This would see the UK transpose EU law into UK law, but potentially without an equivalent regulatory body to enforce it. UK Foreign Secretary Boris Johnson has yet to mention climate change in any official speech since taking office in July 2016, and over that time has trimmed the number of full-time Foreign Office officials dedicated to climate change by 25%, according to data from Verisk Maplecroft. Some critics regard EU environmental policies such as the Habitats Directive, which affords protection to over 1,000 species by securing certain habitats against development, as needless red tape which harms economic growth. Despite praise from environmentalists for some of his more progressive measures, Mr. Gove has been criticised for his aversion to implementing environmental legislation that could harm economic growth. In March 2017, he came under fire for branding the Habitats Directive “absurd,” arguing that it “massively increases the cost and the regulatory burden for housing development”. Outside of the EU, Eurosceptics argue, the UK could choose to leave the Habitats Directive. However, many observers have noted that this could be an unpopular decision, with polling indicating that the majority of the public wants post-Brexit laws protecting wildlife to be at least as strong as current EU legislation. Other legislative possibilities presented by Brexit have proven more popular with environmentalists. For instance, many see the opportunity to leave the Common Agricultural Policy (CAP) as a chance to implement stronger environmental protections. The policy provides subsidies for the 22 million farmers and agricultural workers inside the EU, and works to improve the agricultural industry by promoting research and preserving ecosystems related to agriculture. It has come under fire for promoting farming practices which damage the environment, and for benefitting large landowners at the expense of smaller, independent producers. Analysts argue that the future of the UK’s environmental regulation essentially hinges on whether the UK remains in the single market. If the UK does remain in the single market, there would be little change to current environmental protections: the UK would likely remain subject to future EU laws and regulators, unless an opt-out is negotiated as part of a bilateral deal, Mr. Nichols told TWW. However, if single market access is lost, the UK will have a greater opportunity to alter regulations in order to attract foreign investment, a prospect many environmentalists fear. The final deal is yet to be decided. However, on April 30 the House of Lords voted for an amendment that many believe would effectively prevent the UK leaving the EU without a deal if Parliament rejects the negotiated terms. This amendment is still waiting to be approved by MPs, meaning a ‘no deal’ Brexit remains a slim possibility. Until plans are finalised, the welfare of the UK’s environment hangs in the balance. Conservationists around the country face an anxious wait.